The fluxes from land to rivers are generally inferred directly from the fluxes out of a basin, especially at a global scale. Although there is considerable truth to this for dissolved species (especially conservative ones), it is less true for particulate species, especially with human intervention. The modern terrestrial sediment cycle is not in equilibrium (Stallard 1998). Meade et al. (1990) estimated that agricultural land use typically accelerates erosion 10- to 100fold, via both fluvial and Aeolian processes. Multiple other reports in the literature support this conclusion. With the maturation of farmlands worldwide, and with the development of better soil conservation practices, it is probable that the human-induced erosion is less than it was several decades ago. Overall, however, there has been a significant anthropogenic increase in the mobilization of sediments (and associated POC) through fluvial processes. The global estimates of the quantities, however, vary dramatically. 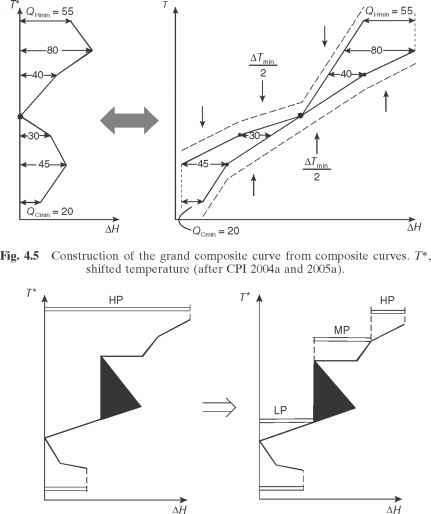 Stallard (1998) poses a range of scenarios, from 24 to 64 Pg y-1 of bulk sediments (from 0.4 to 1.2 Pg y-1 of POC). Smith et al. (2001) estimate that as much as 200 Pg y-1 of sediment is moving, resulting in about 1.4 Pg C y-1 (using a lower percentage C than Stallard 1998). Where does this material go? Does it all go downstream via big rivers, ultimately to the ocean, or is it stored inland? Stallard (1998) argues that between 0 and 40 Pg y-1 of sediments (0 to 0.8 Pg C y-1 as POC) is stored as colluvium and alluvium and never makes it downstream. Smith et al. (2001), using a different approach, estimate that about 1 Pg C y-1 of POC is stored this way. If this movement is merely transferring POC from one reservoir to another, with the same residence times, there is no net change in the C cycle. Then the issue is, to what degree can the remaining soils sequester carbon by sorption to the newly exposed mineral soils? Both Stallard (1998) and Smith et al. (2001) argue that carbon is removed from the upper portion of the soil horizon, where turnover times are relatively rapid (decades or shorter) into either of two classes of environments with longer turnover times: wetlands and smaller, deeper depositional zones, coupled with new carbon accumulation at either erosional or depositional sites. Both assume that oxidation of organic C in transit is minimal, and both use quite conservative values for total suspended sediment (TSS) export. If true, this sequence of processes would result in a significant C sink, on the order of 1 PgC y-1.